As you can see from the before pictures the footprint of this kitchen remained basically the same. Sometimes the simple things can make the biggest impact. 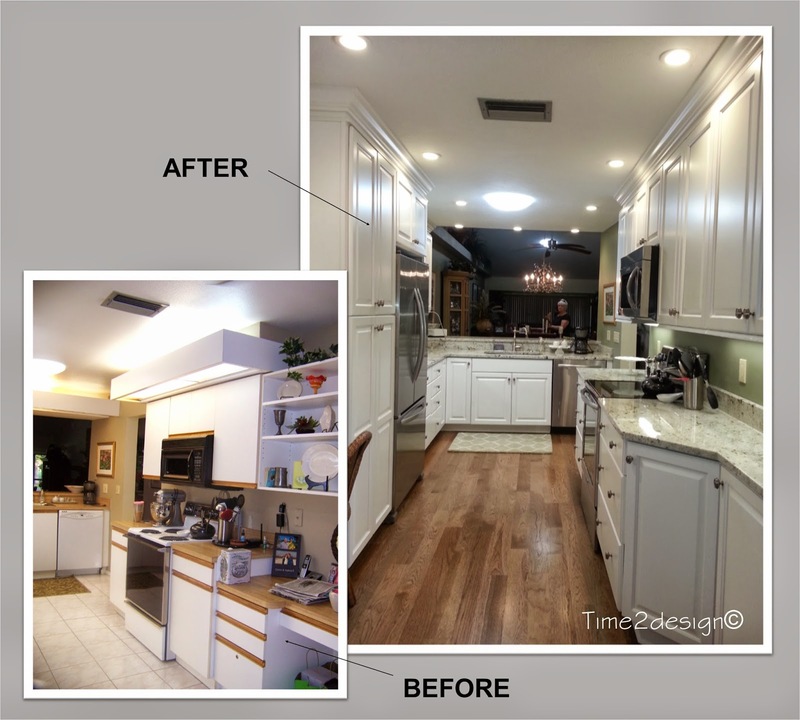 The dated cabinetry, countertops and flooring were the main reasons the homeowner wanted to remodel their kitchen. In addition the soffits with the built-in lighting, the pantry with the louver bi-fold door and the desk that went on forever both dated the space but also contributed to its disfunction. 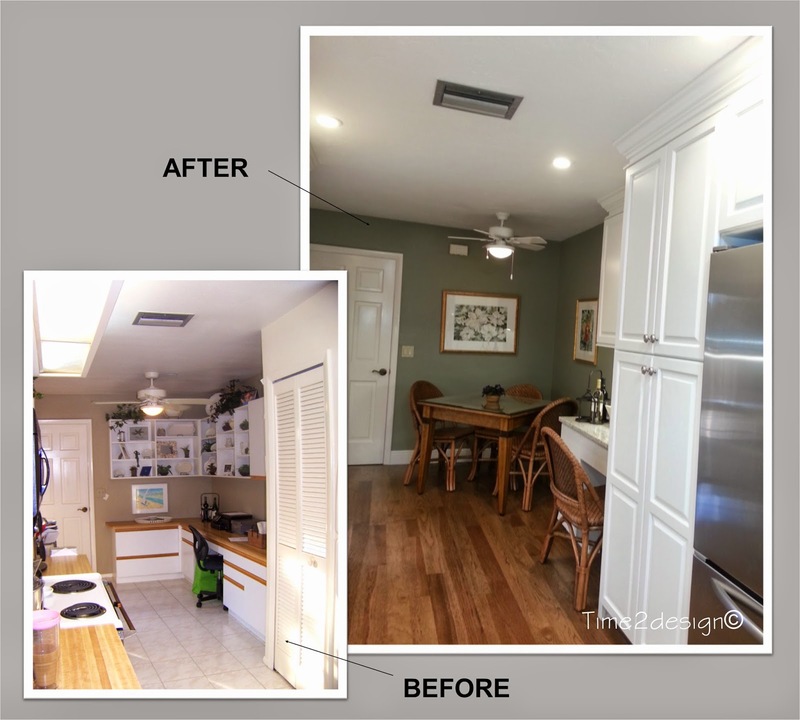 So we removed the soffits, increased the height of the upper cabinet for additional storage space and by taking the crown molding right to the ceiling it gives the whole kitchen a greater sense of height. For as much space as the old pantry took up it had shallow depth wire shelving inside making for a lot of unused space. So when we took out the soffits, the walls that made up the pantry came down as well. 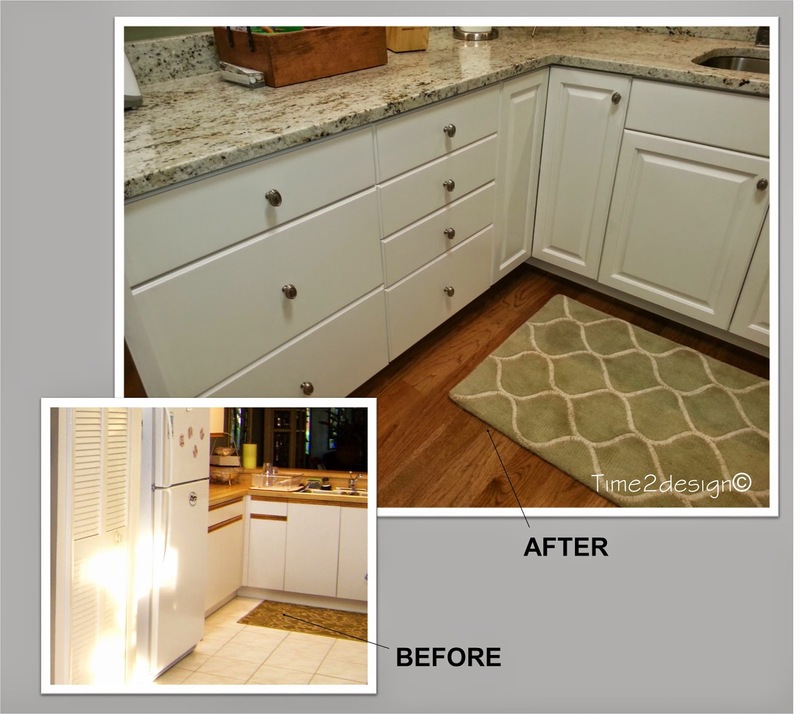 In its place we put in a tall pantry cabinet to utilize the entire area with interior roll-out drawers allowing the homeowner to see everything in their pantry and it has increased the amount of storage space by more than double. Notice the deep cabinet over the refrigerator? This is the home to new vertical tray dividers and it gives the refrigerator a bit of a built-in look. 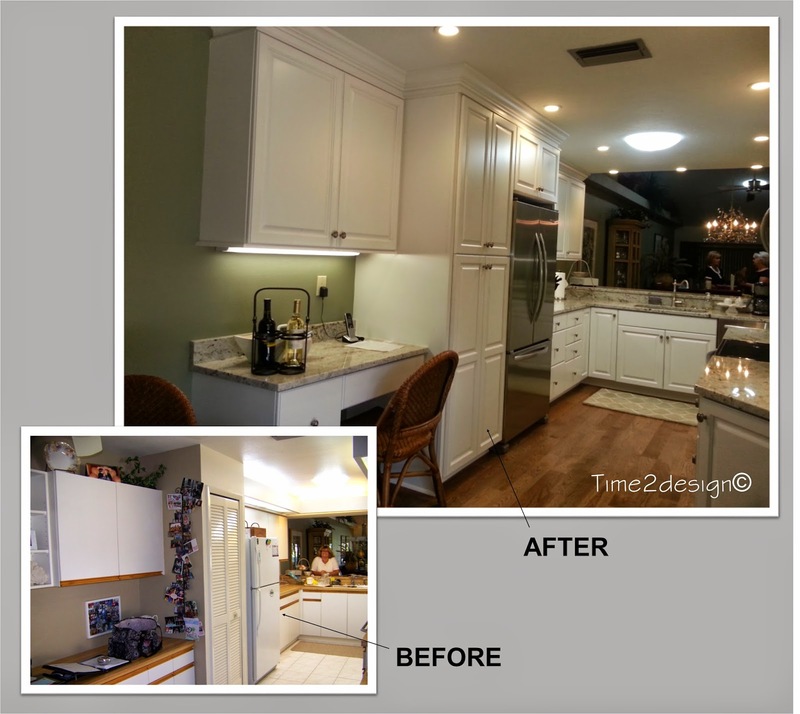 The oversized kitchen desk was just taking up way more space than the homeowner wanted or needed, not to mention if you notice in the first before picture above there was an additional desk originally to the right of the range. The homeowners really wanted to have a nice place to sit in the kitchen to read the paper or eat a meal and didn't need multiple desks. So by minimizing the desk size it gives plenty of room for a table and a desk that is much more effecient with file drawers and just the right amount of space for their use. New granite countertops a fresh coat of paint, lots of drawers and top it off with the beautiful solid hickory wood floors ~ icing on the cake! What do you think?